September 23, 2015 – FREE Event! 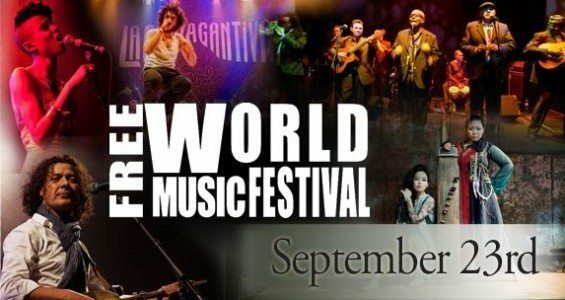 World Music Festival! View videos on our website! Attendance at all shows is not required. Locations and ticket requirements vary. Experience the diversity of World Music as you never have before. We’re bringing you five ensembles from around the world – Afro-Colombian rhythms, Korean music, Moroccan jazz, Neo-Soul, and Cuban mainstream – that are sure to entertain you. And there will be food trucks at 4:00 p.m.! Boo! 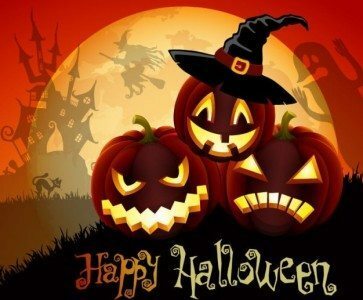 Calling all Halloween lovers! Jellystone Park™ will have all of your fall and Halloween favorites this season. We will have special fall designs in ceramics, sun-catchers, t-shirts, and crafts! There will be a pumpkin patch every weekend as well as trick or treating in the campground. Site decorating is always fun with prizes for all the winners! The Rec Rangers will have coloring contests, a candy corn guessing contest, and more fun fall activities planned. These weekends are some that you don’t want to miss! Madison Classics Fall Car Show & Swap meet at the Jefferson County Fair Park. Need a part for your car or want to buy a car? This is the place to come! Fall is here and so is the 38th Annual Fall Jefferson Swap meet and Car Show on September 25th-27th. The show will be held at the Jefferson County Fairgrounds located at 503 N Jackson Ave, Jefferson, WI 53549 just off Hwy 18 in Jefferson. The Swap Meet and Car Corral are open all weekend, and the Car Show is now Two Big Days!!! Saturday and Sunday. The spectator gates for the Swap Meet and Car Corral are open Friday 10am-7pm, Saturday 6am-4pm, and Sunday 6am-3pm. The Car Show gate opens at 6am on Saturday & Sunday-please remember the Car Show is first come first served and plenty of space is available. All makes and models and specialty vehicles are invited to participate in the Car Show. 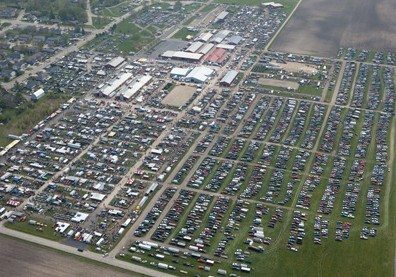 Expect to see over 3100 swap spaces full of parts and 100’s of cars for sale in the car corral over the weekend. The featured vehicles at Fall Jefferson 2015 will be all Fords. Look for many hot rods in the Car Show area Saturday & Sunday parked on the blacktop in front of the main building. Spectator admission for adults is $8 and children under 12 are free. Spectator parking is available for $4, but is limited so please arrive early. No campers will be allowed in the parking field, but camping is available near by. Swap spaces will be available at the gate. Car corral spaces will be available at the Car Corral entrance all weekend. There is an ATM on the grounds as well as concessions. No pets please. For more information, visit us online at www.madisonclassics.com, or call 608-244-8416. 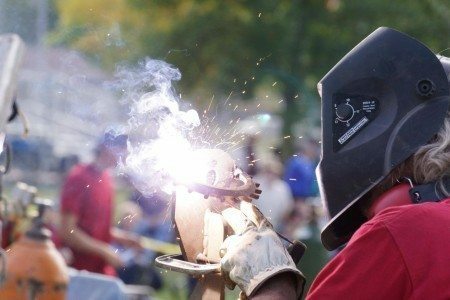 ARTS & SPARKS IN THE PARK is a unique event fusing a live-action Welding Rodeo and traditional Art Fair taking place on September 26, 2015 (rain date Sept. 27) in Ralph Park in Fort Atkinson. At this event, visitors can watch as teams of welders create sculptures from piles of scrap metal and purchase finished artwork at the booths of local artists. Shop around the neighborhoods of Fort Atkinson with a map outlining the rummage sales. Save a few dollars, from one house to another, someone may have just what you’re looking for! Barktoberfest is a free and fun canine festival and party for you and your dog(s) held Sunday 9/28 at downtown West Side Park. 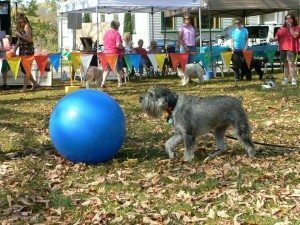 The festival includes vendors, rescue groups, dog demos, a demonstration of lure coursing, costume and trick contests with great prizes, food and more. Join in for a “Howling” good time with fun for humans and their hounds. The day starts at Westside Park for fun, games and contests. The day ends with Yappy Hour, a raffle and live music for both you and your dog(s). This event is sponsored by Rover Makeovers Pet Grooming & Photography which each year raises funds for various rescue groups. For more information, contact Julie Anderson at (608) 345-8821 or email mydogsdig@gmail.com. Yappy Hour from 3 pm to 5 pm at a local restaurant.